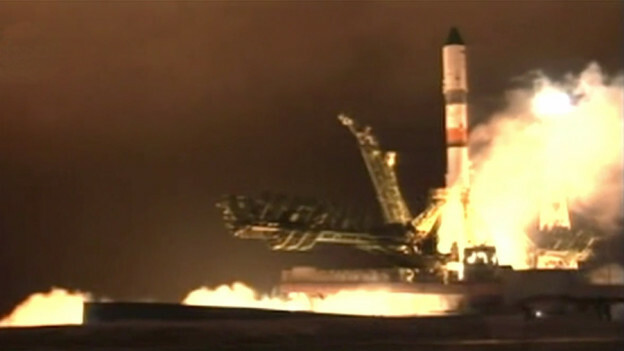 Carrying more than three tons of food, fuel, and supplies for the International Space Station crew, the unpiloted ISS Progress 63 cargo craft launched at 12:23 p.m. EDT (10:23 p.m. local time in Baikonur) from the Baikonur Cosmodrome in Kazakhstan. At the time of launch, the International Space Station was flying about 251 miles up over northeast Iraq. Less than 9 minutes after launch, the resupply ship reached preliminary orbit and deployed its solar arrays and navigational antennas as planned. The Russian cargo craft will make 34 orbits of Earth during the next two days before docking to the orbiting laboratory at 2 p.m. Saturday, April 2. Beginning at 1:15 p.m. on Saturday, NASA Television will provide live coverage of Progress 63’s arrival to the space station’s aft port of the Zvezda Service Module. To join the online conversation about the International Space Station and Progress 63 on Twitter, follow @Space_Station and the hashtag #ISScargo. A Russian resupply ship left the International Space Station this morning and will be quickly replaced Saturday afternoon. In the meantime, the Expedition 47 crew went about its full schedule of advanced space science and orbital lab maintenance. The Progress 61 (61P) cargo craft undocked this morning from the Zvezda service module loaded with trash. It is headed for a fiery disposal Friday, April 8th, over the Pacific Ocean. The 61P will be replaced after the Progress 63 (63P) spaceship launches Thursday at 12:23 p.m. EDT/4:23 p.m. UTC. The 63P will dock to the same Zvezda port Saturday at 2 p.m. with more than 3 tons of food, fuel and supplies. Both launch and docking activities will be covered live on NASA Television. NASA astronauts Tim Kopra and Jeff Williams explored how working in space affects detailed, interactive tasks when using a touch-based computer tablet. Kopra then helped familiarize Williams with station systems and operations. Earlier in the day, British astronaut Tim Peake assisted Williams for ultrasound scans of his arteries for the Cardio Ox experiment. Veteran station cosmonauts Yuri Malenchenko and Oleg Skripochka continued researching how international crew members interact with each other and ground controllers from around the world. First-time cosmonaut Alexey Ovchinin explored plasma features in the Earth’s ionosphere. He also joined Malenchenko for the Biocard heart study. The next cargo craft after the 63P will be the SpaceX Dragon when it arrives on April 10. This will be the first time since February 2011 six spacecraft are attached to the space station. The Orbital ATK Cygnus is the newest spacecraft installed at the station’s Unity module port after being captured Saturday. The Russian ISS Progress 61 cargo spacecraft undocked from the aft port of the International Space Station’s Zvezda Service Module at 10:15 a.m. EDT, clearing the port for the arrival of a new Russian resupply vehicle this weekend. The Progress 61 vehicle arrived at the International Space Station on October 1 with three tons of food, fuel, and supplies for the station crew, and now loaded with trash, was undocked to move a safe distance away from the station for a series of engineering tests by Russian flight controllers. The craft will be deorbited on April 8 to harmlessly burn up over the Pacific Ocean. 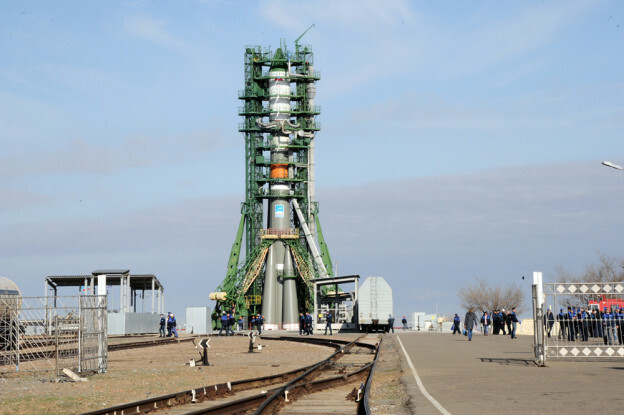 The departure of the Progress 61 vehicle sets the stage for tomorrow’s launch of the new ISS Progress 63 cargo ship from the Baikonur Cosmodrome in Kazakhstan at 12:23 p.m. EDT. NASA Television coverage of the launch will begin at 12 p.m., and can be see online at: https://www.nasa.gov/nasatv. 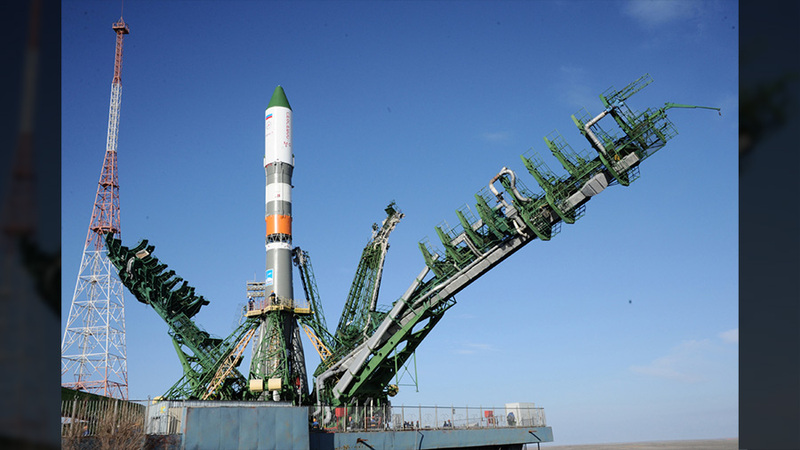 Launch of the Progress 63 vehicle will mark the second cargo ship in as many weeks scheduled to arrive at the station. The Progress is scheduled to dock automatically to Zvezda Saturday at 2 p.m. EDT. Next up after that — the scheduled launch of the SpaceX Dragon vehicle on April 8 from the Cape Canaveral Air Force Station, Florida. 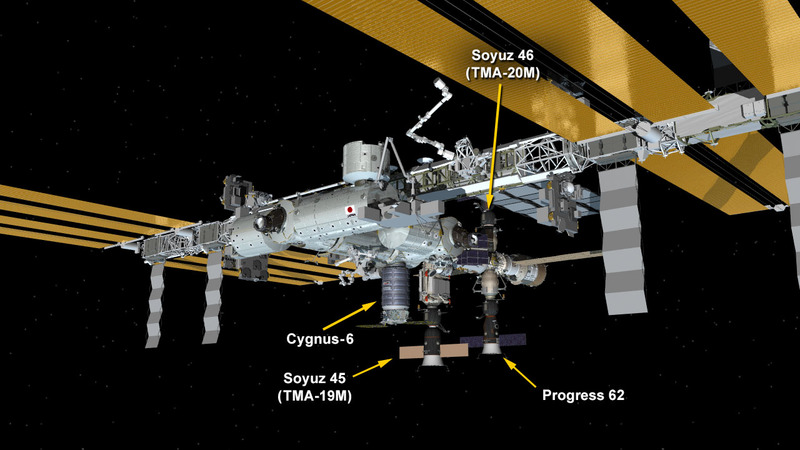 Its arrival at the complex on April 10 as the third resupply vehicle for the station in three weeks will result in some 12 tons of cargo for the station’s residents from Progress, Dragon and the Orbital ATK Cygnus ship that arrived at the station on March 26. It will be rush hour at the International Space Station for the next two weeks as a pair of spaceships gets ready to launch new science, hardware and crew supplies to the Expedition 47 crew. As the crew prepares for the new shipments, they are already working on the latest research delivered Saturday on the newest Cygnus space freighter from Orbital ATK. The Progress 61 resupply ship has been packed and is ready to undock from the Zvezda service module taking out the trash Wednesday morning. It will be replaced Saturday afternoon when the Progress 63 cargo craft arrives at the same Zvezda port. The 63P will launch Thursday at 12:23 p.m. EDT/4:23 p.m. UTC from Kazakhstan and will be covered live on NASA TV. SpaceX is getting its Falcon 9 rocket ready in Florida for the April 8 launch of the Dragon cargo craft. Dragon will arrive at the station two days later. Once it is captured and installed to the Harmony module, there will be six spacecraft attached to the space station for the first time since February 2011. The newest spacecraft at the station, Cygnus, arrived Saturday loaded with new science including the Gecko Gripper experiment. The crew began work on the advanced adhesive study today that could enable new touch-to-stick methods and catch and release technologies such as robotic crawlers that walk and work on the outside of spacecraft. The Orbital ATK Cygnus cargo ship was bolted into place on the International Space Station’s Earth-facing port of the Unity module at 10:52 a.m. EDT. The spacecraft’s arrival will support the crew members’ research off the Earth to benefit the Earth. The Cygnus is delivering more than 7,700 pounds of science and research, crew supplies and vehicle hardware to the orbital laboratory to support dozens of approximately 250 science and research investigations that will occur during Expeditions 47 and 48. Beginning with this mission, Cygnus is equipped with a NanoRacks External Cygnus Deployer for CubeSats that will provide opportunities for small satellites to be deployed from Cygnus after the vehicle departs from the ISS. The spacecraft will spend more than a month attached to the space station before separating from the station. After completion of its primary ISS resupply mission, Cygnus depart a safe distance from the station before deploying the satellites, and begin its destructive re-entry into Earth’s atmosphere in May 2016, disposing of about 3,000 pounds of trash. Using the International Space Station’s robotic arm, Canadarm2, Expedition 47 Commander Tim Kopra successfully captured Orbital ATK’s Cygnus cargo vehicle at 6:51 a.m. EDT. The space station crew and the robotics officer in mission control in Houston will position Cygnus for installation to the orbiting laboratory’s Earth-facing port of the Unity module. NASA TV coverage of the installation will begin at 9:15 a.m. Installation of the Cygnus spacecraft to the space station is expected to be completed by 9:25 a.m. Among the more than 7,700 pounds of supplies aboard Cygnus are numerous science and research investigations and technology demonstrations, including Saffire-I, which will provide a new way to study a large fire on an exploration craft. Such studies have not been possible in the past because the risks for performing such studies on spacecraft with astronauts aboard are too high. Saffire-1 will remain on the spacecraft once all the other supplies are unloaded, and the vehicle will be attached to the space station for about two months. Once it departs and the spacecraft is a safe distance from the space station, engineers will remotely conduct the first Saffire experiment before the Cygnus’ destructive reentry into Earth’s atmosphere. Before detaching from the station, Cygnus will also be filled with about 3,000 pounds of trash, which will be burned up over the Pacific Ocean. Follow the conversation on Twitter via @Space_Station and the hashtag #Cygnus. 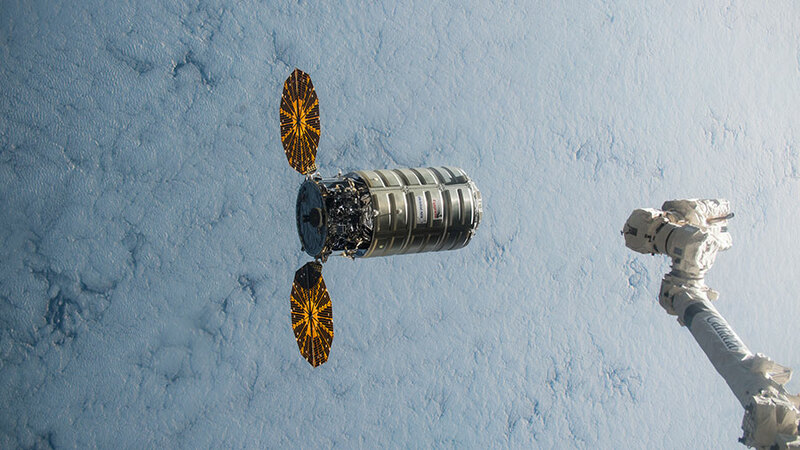 Orbital ATK’s Cygnus spacecraft was pictured in December 2015 moments away from its robotic capture. An Orbital ATK Cygnus cargo spacecraft carrying more than 7,700 pounds of supplies and science and research investigations is set to arrive to the International Space Station early Saturday morning. 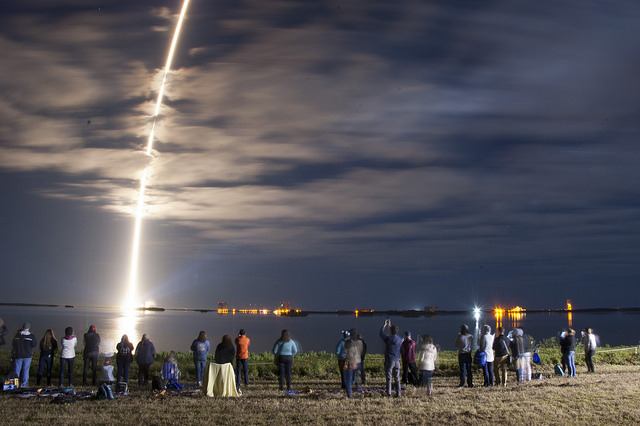 The uncrewed cargo ship launched at 11:05 p.m. EDT on Tuesday, March 22 on a United Launch Alliance Atlas V rocket from Space Launch Complex 41 on Cape Canaveral Air Force Station in Florida to begin its journey to the orbiting laboratory. 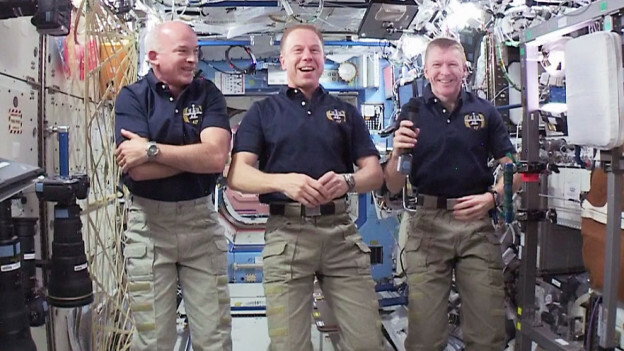 Expedition 47 Commander Tim Kopra of NASA and Flight Engineer Tim Peake of ESA (European Space Agency) will use the station’s Candarm2 robotic arm to reach out and capture Cygnus at approximately 6:40 a.m. NASA TV coverage will begin at 5:30 a.m. Installation is expected to begin at 9:25 a.m. NASA TV coverage resumes at 9:15 a.m. The mission is Orbital ATK’s fifth cargo delivery flight to the station through NASA’s Commercial Resupply Services contract, and the second flight of an enhanced Cygnus spacecraft to the station. For NASA TV schedule and video streaming information, visit: https://www.nasa.gov/nasatv. To join the online conversation about the Orbital ATK CRS-6 and the International Space Station on Twitter, follow @Space_Station and the hashtag #Cygnus. A new shipment of science, spacewalk gear and crew supplies is on its way to the International Space Station. The Expedition 47 crew is preparing for its arrival while continuing research and maintenance operations onboard the orbital laboratory. The Cygnus space freighter is refining its orbital path to the station to complete a Saturday delivery to the Harmony module. Astronauts Tim Kopra, Tim Peake and Jeff Williams are training for the robotic capture of Cygnus using Canada’s 57.7 foot Canadarm2. NASA TV will provide coverage of the Cygnus rendezvous and capture beginning Saturday at 5:30 a.m. EDT/9:30 a.m. UTC. Meanwhile, the crew is moving on with advanced experiment work exploring how living in space affects a crew member’s body. The orbital science activities also have the potential to improve life on Earth. Peake continued more immune system research today for the Multi-Omics investigation. Peake and Kopra then partnered up for the Habitability Factors experiment. Cosmonauts Alexey Ovchinin and Yuri Malenchenko worked together on the Cardiovector blood circulation study. Malenchenko then joined Cosmonaut Oleg Skripochka researching how crew members adapt to moving around in weightlessness. In a time-lapse exposure, a United Launch Alliance Atlas V rocket lifts off from Space Launch Complex 41 at Cape Canaveral Air Force Station carrying an Orbital ATK Cygnus resupply spacecraft on a commercial resupply services mission to the International Space Station. 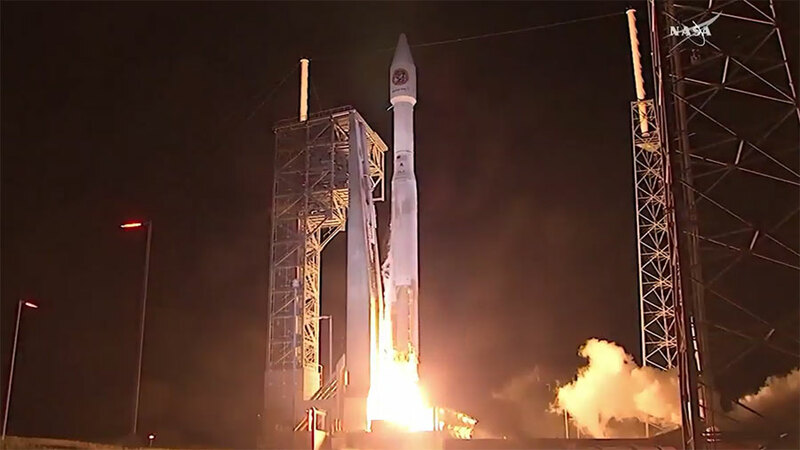 Many of the crew’s activities on Wednesday continued preparation for the arrival of Orbital ATK’s Cygnus cargo craft, which launched successfully Tuesday night at at 11:05 p.m. EDT. NASA astronaut Jeff Williams prepared one of the station’s payload racks for the new Additive Manufacturing Facility (AMF). The AMF enables the production of components on the ISS for both NASA and commercial objectives. Parts, entire experiments, and tools can be created on demand. Expedition 47 Commander Tim Kopra and flight engineer Tim Peake continued their refresher training for the upcoming Cygnus grapple where Kopra will capture the vehicle using the station’s Canadarm2 robotic arm. On Saturday, March 26, the Cygnus spacecraft will catch up to the orbiting laboratory. Kopra and Peake will capture Cygnus at about 6:40 a.m. NASA TV coverage of capture of Cygnus will begin at 5:30 a.m. Installation operations are expected to begin at 9:25 a.m. and NASA TV coverage will resume at 9:15 a.m. The United Launch Alliance Atlas V rocket lifted off at 11:05 p.m. EDT/3:05 a.m. UTC, and Cygnus has begun its journey to the International Space Station with an arrival on March 26. Cygnus will separate from the upper stage of the Atlas rocket 21 minutes after launch. An hour and half after launch, commands will be given to deploy the spacecraft’s UltraFlex solar arrays. This is the second Cygnus mission using the Atlas V launch system and the second flight of an enhanced Cygnus spacecraft to the station. In addition to the new solar arrays, the cargo freighter features a greater payload capacity and new fuel tanks. Cygnus’ pressurized cargo module has been extended and increases the spacecraft’s interior volume capacity by 25 percent, allowing more cargo to be delivered with each mission. Launch coverage will continue on NASA TV at https://www.nasa.gov/nasatv until shortly after spacecraft separation then resume at about 12:35 a.m. in advance of solar array deployment at about 12:41 a.m.
A post-launch news conference is scheduled to begin on NASA TV at approximately 1:30 a.m.
Join the online conversation on Twitter by following @Space_Station and #Cygnus.